Dr Daniel Rahme MB.BS. BSc (Med) FRACS (Orth) FAOA is an Orthopaedic Surgeon with a subspecialty interest in hip and knee surgery. Dr Rahme graduated from the University of New South Wales in 1996 and then completed Orthopaedic training on the Sydney Training Program, gaining admission to the Fellowship of the Royal Australasian College of Surgeons in 2007. Dr Rahme did a further 12 months of subspecialty training in hip and knee surgery at the Sydney Orthopaedic and Joint Replacement Centre as well as centres in France, Switzerland and Germany. He is a member of the Australian Orthopaedic Association (AOA) and the Australian Society of Orthopaedic Surgeons (ASOS). These are the societies affiliated and recognized by the Royal Australasian College of Surgeons for Bona Fide Orthopaedic Surgeons. 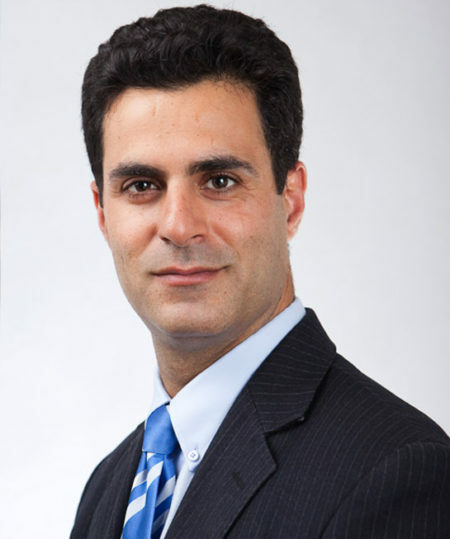 Dr Rahme is one of the first surgeons in Australia to perform Anterior Minimally Invasive Hip Surgery (AMIS) routinely for total hip replacement procedures and is currently appointed as a reference surgeon for the technique. Dr Rahme has regularly been involved in training other Orthopaedic surgeons across Australia in this technique. In 2006 he travelled to the Solomon Islands as part of an ‘Orthopaedic Outreach Program’ in order to provide surgical training and services to under-developed countries. He partakes in ongoing research projects and is actively involved in, medical student, orthopaedic registrar and fellowship training. Dr Daniel Rahme has surgical appointments at Bankstown Hospital as well as a number of private Sydney hospitals including; Sydney Private Hospital located in Ashfield and St George Private Hospital located in Kogarah. Dr Rahme is committed to providing the highest level of patient care and ongoing research in training and education. 2007 Intramedullary Nailing versus Fixed Angle Blade Plating for Subtrochanteric Femoral Fractures: A Prospective Randomised Controlled Trial. 2006 Consequences of Diagnostic Delays in Slipped Capital Femoral Epiphysis. 2006 Septic Arthritis of the Acromioclavicular Joint: Tc-99m Leukocyte Imaging. 2012 A Retrospective Review of Outcomes for Hip Hemiarthroplasty performed for subcapital neck of femur fractures. A comparison of surgical approaches. Authors: Daniel Rahme, Michael Millar. M.O.R.E Symposium Melbourne January 2012. Anterior Minimally Invasive Surgery in THR. 2005 Consequences of Diagnostic Delays in Slipped Capital Femoral Epiphysis.